Concordia likes to boast about Le Gym, its downtown fitness facility seemingly built for moles, trolls, Lilliputians and treadmill marathoners. This semester I paid about $80 to rub shoulders with talkative gym rats and old farts who obviously aren’t even students. There’s barely enough space to fit everybody. Not to mention that no natural light reaches your subterrain. But Le Gym—or whichever liar wrote their website—will try to persuade everyone that their facility is top notch, with some of the best trainers in Ville-Marie. All I know about trainers is that I don’t need one. But I could do with a little more space. Here’s a hint: drill. Get those savvy trainers of yours and drill a hole in the wall. Bore some more space and toss all those treadmills in there. With some luck, the cavemen who seem to dwell day and night in your dark dank gym will get the call of the wild and settle in the newly built grotto. 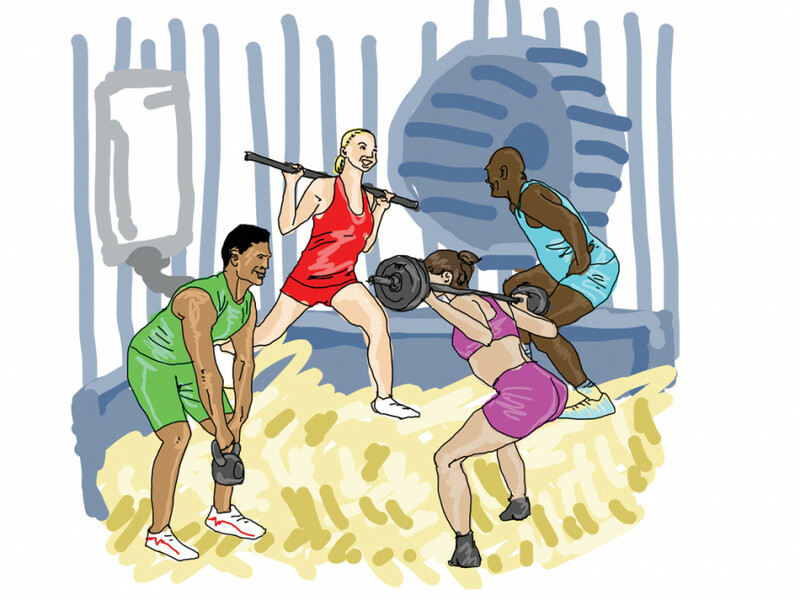 Don’t worry about their mental well being; your gym already looks like it’s been modeled after the Lascaux caves. Who’s your interior decorator? Fred Flintstone? Frankly, there aren’t enough machines to accommodate a serious weightlifter’s program. I got to scratch my head every time to find a suitable replacement. Stop making excuses like “machines aren’t good for you.” If you want to shock your muscles to grow you’ll want to switch up your exercises once in a while. Machines come in handy for that. But there’s no space in your cavern so what am I complaining about. Bore a hole. Find a light.